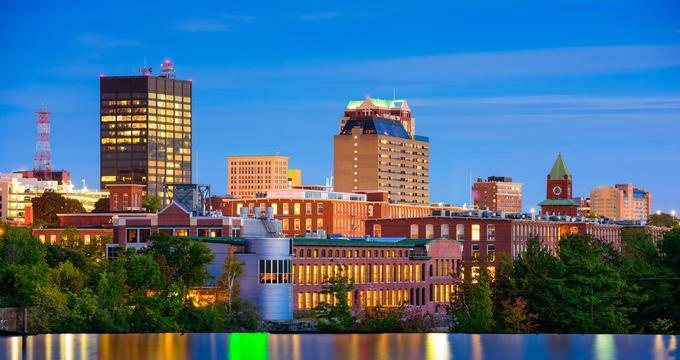 The largest city in New Hampshire, Manchester is home to the Fisher Cats Minor League Baseball Team, unique attractions, great museums and restaurants. Visit the Currier Museum of Art, tour the Frank Lloyd Wright-designed Zimmerman House and enjoy romantic walks along Massabesic Lake on your weekend getaway. Art lovers can take classes at Studio 550 Art Center, while families with kids can interact with hands-on exhibits at the SEE Science Center. 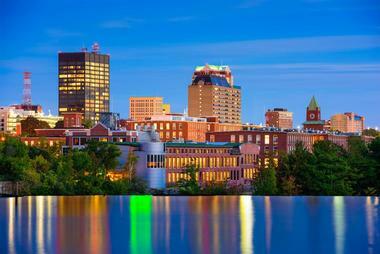 Here are the best things to do in Manchester, New Hampshire. The Currier Museum of Art, located on Ash Street in Manchester, houses works of American and European art. Founded in 1929, the museum was originally known as the Currier Gallery of Art, and today, the building is listed on the U.S. National Register of Historic Places. 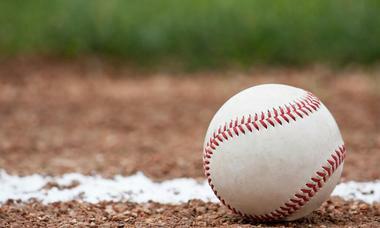 The Northeast Delta Dental Stadium is located on One Line Drive in the downtown area of Manchester along the Merrimack River. Opened in 2005, the capacity of the stadium is 7,722 people, and it is the home of the New Hampshire Fisher Cats Minor League Baseball Team. In addition to baseball games, the stadium hosts other events as well. In fact, Bob Dylan performed at the stadium’s first concert in 2006. In addition to regular seating, there are 32 luxury suites on the upper levels that provide fans with great views of the field. The Hilton Garden Inn Hotel is located alongside the stadium and rooms at this location boast panoramic views of the stadium. A large overhanging roof covers the house, and many of the interior elements are still intact; these include the fabrics, the concrete floors, and the cypress woodwork. The Currier Museum of Art conducts all tours of the house. You may also like: Best Weekend Getaways in New Hampshire. Located at 550 Elm Street, Studio 550 Art Center offers classes to children and adults. Children are taught how to work with clay during summer art camps, in homeschool classes, and in after school classes. There is also a book making and paper arts class for teenagers. The SEE Science Center helps the curious to understand topics of science like electricity, force, light, sound, and much more. Established in 1986, the center consists of two floors of hands-on exhibits such as the Chemistry Lab, the Hybrid House, the LEGO Millyard Project, which was built with three million LEGO bricks, and Science in the Kitchen. If you are wondering what to do in Manchester, New Hampshire with kids, this is a great place to visit. Special temporary exhibits have included the popular Robotic Dinosaurs exhibit and the Secret of Circles exhibit. The center also sponsors the “Seemobile,” which travels around the area and helps to educate many students in their schools. Located in southern New Hampshire and within the city of Manchester and the town of Auburn, Massabesic Lake covers an area of about 2,560 acres. The name of the lake comes from a Native American language and means “a place of much water.” Swimming and water skiing are not permitted at the lake because it provides drinking water for the city of Manchester. 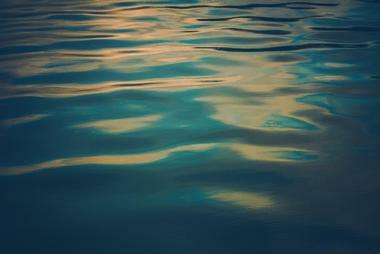 However, other kinds of water activities are permitted, including fishing, kayaking, and sailing. There are three public launches and facilities for public mooring on the lake: Deerneck launch is used for canoes and kayaks. There are also scenic trails that give visitors lovely views of the lake. The Palace Theatre, located on Hanover Street in Manchester, is a performance venue built in 1914 that is now listed on the U.S. National Register of Historic Places. The theater was built to resemble the Palace Theatre in New York City and opened in 1915 with a seating capacity of 1,100 people. Performers included Bob Hope, the Marx Brothers, Harry Houdini, and many more. After the decline of the popularity of vaudeville, the theater was used as a movie house but was eventually left vacant. The theater was then renovated, and it reopened in 1974 with a seating capacity of 880. Today, the theater hosts ballets, musicals, plays, and other performances by comedians and musicians. Located on Bedford Street in the historic area of Amoskeag Millyard, the Millyard Museum is devoted to the culture and history of Manchester, specifically Amoskeag Falls. The museum’s permanent exhibit is called Woven in Time: 11,000 Years at Amoskead Falls. Native Americans who fished at the falls once populated the area; later, the area later welcomed early settlers such as farmers and lumbermen, who made use of the landscape. The Amoskeag Manufacturing Company was housed in the large brick mill yard that is one of Manchester’s landmark buildings. The company eventually became one of the world’s largest textile producing companies. 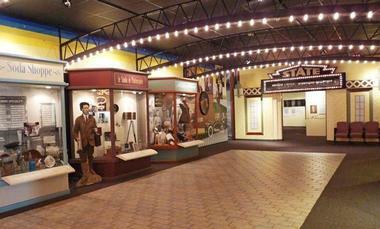 The museum is also home to the Discovery Gallery, which features exhibits, lectures, programs, and more. Firefly American Bistro and Bar is an elegant establishment with comfortable high-backed booths that fit perfectly with the rustic exposed brick of the original beautiful old building. The soft lighting adds to the cozy, intimate atmosphere. It is a nice place to bring your clients, but it is also romantic enough to treat the love of your life. 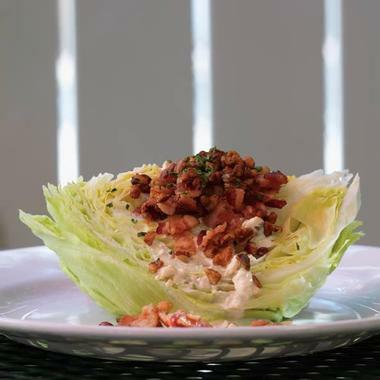 Chef David Becker serves traditional American fare, meaning there is something for everyone, from good old fish and chips or a burger with everything, to the more upscale haddock stuffed with lobster and ritz crumbs, drenched in champagne dill cream, and served with asparagus and pilaf. Firefly has an extensive wine list with more than 50 wines served by the glass. Hanover Street Chophouse has the feel of an old-fashioned exclusive club; it is arranged with leather chairs, glossy wood tables, damask tablecloths, and elegant silverware. The restaurant is even more appealing because of its superb service, and the food Executive Chef Stuart Cameron serves is equally extraordinary. Each piece of meat is carefully selected before going on the grill, at which point it is cooked to perfection. If you are looking for romantic date night ideas in Manchester NH, this is a great place to try. Imaginative, fresh sides, locally sourced or from one of their gardens accompany the dishes. Where the chef’s talent truly shines is in the starters, which are superb small plates that could serve as a light dinner, especially if you order a good bottle of wine. They have more than 200 bottles to choose from. 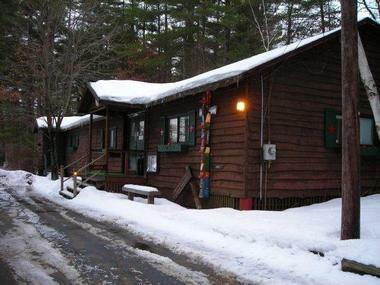 The Lawrence L. Lee Scouting Museum and Max I. Silber Scouting Library are located on Blondin Road at Camp Carpenter. Founded in 1969, the 2,500 square foot museum features one of the best collections of scouting-related objects in the world. Artifacts, objects, and memorabilia represent scouting in New Hampshire, New England, the U.S., and other countries around the world. Some of the objects include historic Scouts on Stamps, Max Silber buckles, part of a necklace belonging to the Zulu Chief Dinizulu, and original paintings of the covers of Boy’s Life magazines. The library also contains a large collection of scouting-related fiction and non-fiction books, periodicals, yearbooks, and more. You may also like: Best Things to Do in Portsmouth, New Hampshire. Neighborhood pubs are the center of social life in England. British Beer Company has perfectly recreated the traditional pub with features such as comfortable boots and seats, a large bar, fun décor, great pub grub, a wide variety of beers, and excellent entertainment. The extensive menu includes British favorites and a few American specialties, and you’ll find dishes such as fish and chips, Shepherd’s pie, sandwiches, pizzas, burgers, and much more. There is an extensive selection of craft beers on tap, both local and international. Some great bands and DJs make appearance in British Beer Company pubs, and you might see a country, rock, blues, or folk show. Check their schedule to find out what is coming. You may also like: 21 Best Weekend Getaways from Boston. 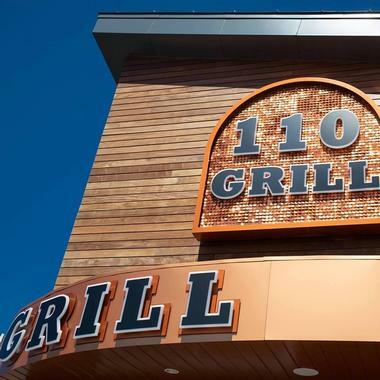 110 Grill is a popular New England contemporary American restaurant chain, originally opened in Chelmsford, Maine by Robert Walker and Ryan Dion in 2014. Today, the delicious chain offers locations throughout Massachusetts, New Hampshire, and New York State, including a Manchester location. Inviting comfort fare entrees served at lunch and dinner include gourmet flatbread pizzas, creative beef, turkey, and salmon burgers, and shareable bar appetizers such as firecracker shrimp, crab rangoon dip, and Asian-style calamari. Land and sea entrees are also served, ranging from grilled swordfish and cajun-style North Atlantic salmon to chimichurri steak and 28-day aged ribeye. In addition to a full vegetarian menu, the restaurant also offers many gluten-free dishes and can prepare most dishes to accommodate specialized allergen needs. Irish pubs guarantee you a good time, and Wild Rover Pub has all the Irish charm you would find in a place in Dublin. Located on a quiet street in downtown Manchester, Wild Rover has brick walls, old and worn oak floors, and traditional Irish décor that create a perfect background for an evening of fun. 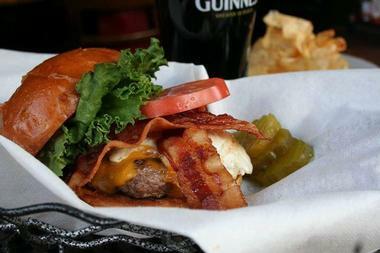 The long wooden bar typically has a line of rugby fans perched on stools watching their favorite team, sipping delicious pints, and munching on some really good food. You can expect your regular pub fare such as nachos, wings, and burgers, but you will also find special treats such as BBQ Jameson Steak Tips - Angus tips that have been marinated in Jameson’s Irish whiskey and then grilled and that are served with broccoli and your choice of potatoes. Wild Rover has live music four days a week and an open mike on Tuesday. The Rover has s large selection of American micro-brews and draft beers from all over the world. Located in Manchester’s Historic Millyard District, Cotton is a hip place with comfortable modern banquettes and framed photos and posters on the walls, creating a casual and appealing atmosphere. Cotton is popular - it is the place to see and be seen. 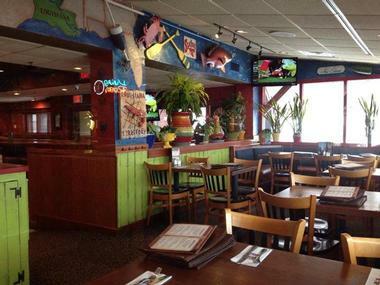 Whether you are coming for lunch or dinner, T-bones in nearby Bedford is a great place for a meal with friends. The space is comfortable, and the lovely outdoor terrace is cheerful and spacious, inviting you to relax and truly enjoy the food and company. The menu is all-American with selections of everyone’s favorites, from classics such as roast turkey dinner and chicken potpie to all kinds of burgers, salads, soups, and sides. Everything is made from scratch in their lively kitchen. You can even bring your pooch; they have a menu for your best friend, but he or she can dine on the terrace only. Be sure to also check out the menu items marked in pink, which are low in calories and fat. There is also vegetarian and gluten-free menu.